Product #3151 | SKU FIREFACEUC | 0.0 (no ratings yet) Thanks for your rating! Under both Operating Systems the available latencies (Minimal latencies are not guaranteed as they depend on the specific computer and application) are simply sensational. The smallest buffer offered under Windows has 48 samples, under Mac OS X 14 samples. 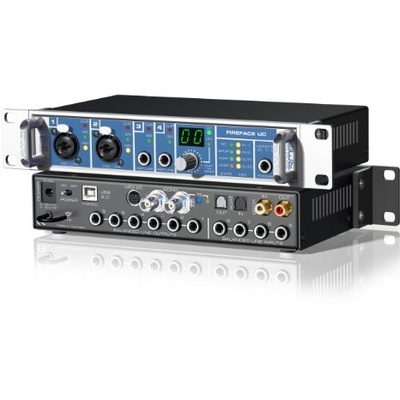 With this RME provides a performance previously not available from USB audio interfaces.